Check out this week's sketch from Atlantic Hearts Sketch Challenge. It sure is fabulous!! And here's my take on the sketch. I'm ashamed to say I've never used this bundle, Beautiful Promenade, even though I've had it for quite some time!!! So many stamps, so little time! 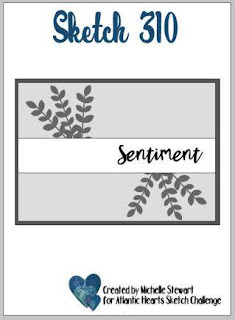 I paired it with the Floral Romance Specialty Paper. 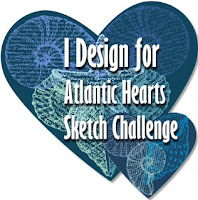 Now be sure and head over to Atlantic Hearts Sketch Challenge and join us for a fun sketch.